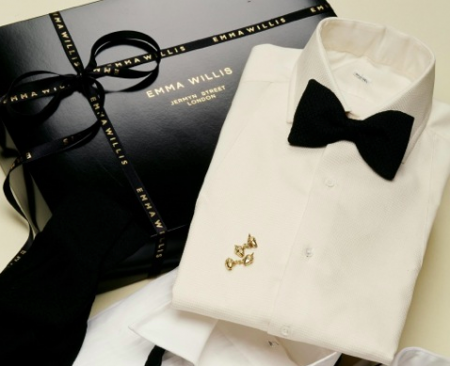 Emma Willis started her business in 1989, designing and making men’s luxury shirts, ties, boxer shorts and nightwear all made in England. In 1999 she opened her elegant and intimate shop in Jermyn Street, on the corner of St James; and in 2010 her English shirt making factory opened in the centre of Historic Gloucester. Her philosophy is to adhere to traditional English shirt making techniques, using luxurious Swiss and West Indian Sea Island Cottons, and employ local, skilled craftspeople.